Over/Under: Over 156 at 1.90 Bet Now! 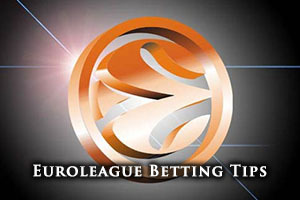 The home side goes into this game knowing that if they win, and Laboral Kutxa lose, Efes will be going to the playoffs. This should provide a strong incentive for a big performance from the Turkish team in this game but Milan are drinking in the last chance saloon for this game. The Italian side knows that they have to win this game or their playoff dreams are over for another season. Stratos Perperoglou has been in great form this campaign for the home team, offering up an average of 10.7 points per game for the Turkish side. Dario Saric has also delivered on a regular basis, providing an average of 5.6 rebounds per game this season. Another big player for the home side is likely to be Dontaye Draper, who has provided an average of 3.3 assists per game this season. These are the key players with respect to pushing Efes on in this game. MarShon Brooks has been a massive player for the Italian side this campaign, providing an average of 12.6 points per game this season. Samardo Samuels has been another key player for Milan with an average of 5.3 rebounds per game. There has also been assistance delivered by Daniel Hackett, who has served up an average of 4.5 assists per game this season. Both teams have a number of players who can impact on the game and if Milan are going to take anything from this game, these are the players who will need to be on form. With respect to average points scored, Milan lead 77.3 to 75.8. The Anadolu record stands at 11-11 for the season which consists of a 6-4 record in the regular season while they hold a 5-7 record in the Top 16. For Milan, they have a 9-13 record to show for their efforts in the Euroleague this campaign, which includes a 5-5 record in the regular season and a 4-8 record in the Top 16. Efes are second in the Turkish league, sitting with a 17-7 record so far in the campaign but they trail Fenerbahce who hold a 19-5 record at this point of the campaign. The most recent domestic game for Efes was an 89-83 win over Banvit BK. Milan have a 21-2 record and are well clear at the top of the Italian league. Their most recent domestic game was a 97-80 home win against Banco di Srd. Taking Anadolu Efes Istanbul with a -6 handicap, at odds of 1.90, is likely to be a great bet for Friday night. If you are looking to get involved with the Over/Under market, you should be looking to go OVER 156.0, at odds of 1.90. 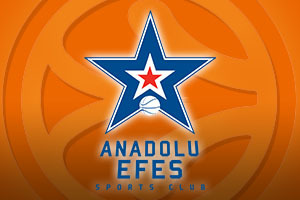 If you are keen to see the Anadolu Efes Istanbul v EA7 Emporio Armani Milan game live on Friday the 3rd of April, we can help you out. Bet Now!